At the 2018 Game Awards, Ed Boon revealed the teaser trailer for the much anticipated Mortal Kombat 11. The two-minute trailer featured a battle between two icons in the franchise, Scorpion and Raiden. Fans of the series have already been speculating who could make a return for the 2019 release. At the moment, we have Raiden and Scorpion confirmed, with Shao Kahn as pre-order DLC. If the leak we saw last week is to be believed, Kotal Kahn, Liu Kang, Kitana, Shang Tsung, Fujin, and Reiko are also playable. However, according to that leak, we'll be missing some big names like Sonya Blade, Johnny Cage, Kano, Goro, Baraka, Melina, and a recent addition in Ferra & Torr. Hopefully, this isn't true, as that's an impressive list of MK icons to leave out. However, if it is, NetherRealm Studios will have to either create an all-new class of diverse characters for MK 11 or bring back some old classics that haven't been seen in a while. Throughout the series, there have been some pretty unique characters that have fallen to the wayside. Even in games that some fans look down upon like Deadly Alliance and Deception, there are some real gems to be plucked and placed into MK 11. Speaking of Mortal Kombat: Deception, let's talk about one of its most unique personalities in Havik. Havik is a Cleric of Chaos whose entire being relies on spreading confusion and conflict wherever he may go. If Mortal Kombat 11's story really is revolving around a loose cannon Raiden taking out anyone who may attempt to invade Earthrealm, someone like Havik is a pretty good choice. What makes him interesting as a character is his utter lack of motive in regards to good or bad. Havik isn't looking to lead an army into other worlds to control everything. That's against everything he stands for. Just the same, he would be completely opposed to Raiden's iron-fisted tactics and would hope to plant seeds of discord and antagonism...simply because he could. Havik is someone that can oppose all sides simply because he exists. 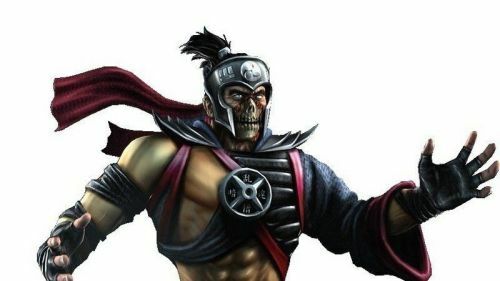 He could end up in Outworld to face off against Kotal Kahn, or attempt to end the rule of Liu Kang and Kitana in...possibly Edenia. Not to mention the unique combat that Havik brings. In MK: Deception, since Havik's body is so mangled and out of the ordinary, being from the Chaosrealm, his fighting style was based around confusing his opponents by dislocating his own shoulder or cracking his own neck, which would somehow heal him. 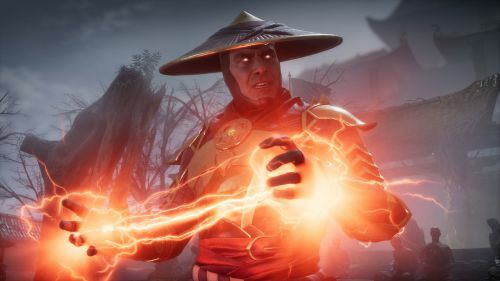 He's strange, he's gory, and he's just what MK11 needs to spice up the storyline. For the latest Mortal Kombat 11 News, stick to Sportskeeda. Could we be seeing classic weapon stances make a return to the MK Universe in Mortal Kombat 11?